The internet has become such a useful tool when buying items these days. The great thing about the internet is we have the ability to shop, compare and order from the comfort of our own homes. 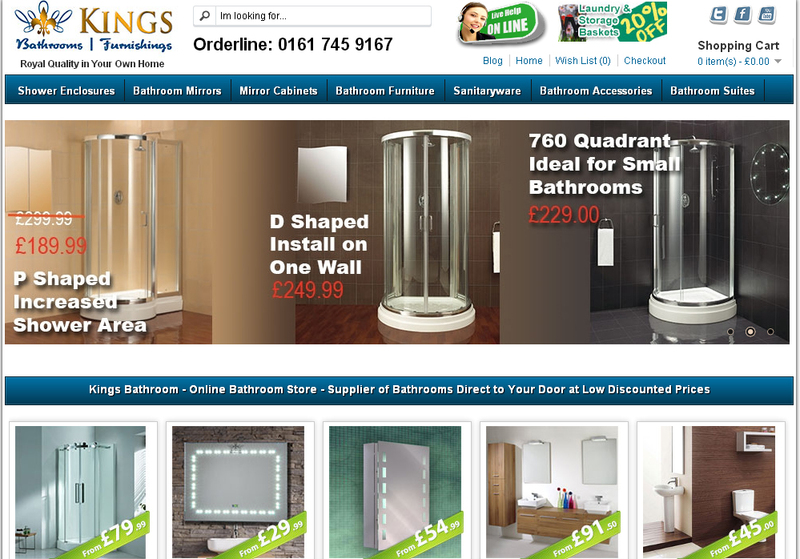 Buying bathroom products online is quick and easy and can save so much time and energy. Then the items are delivered to the door, it doesn’t get any easier than that. The first step I always take with any bathroom renovation is to draw up a bathroom layout on a piece of paper. I draw the bathroom and then take all the necessary measurements so I know exactly what I have to work with. This should be done before you even think of looking at the bathroom products available. The great thing about buying bathroom products online is the selection available. Companies that sell items online don’t have the overhead costs of a shop front and usually use warehouses enabling them to carry more stock. If you had to walk into a showroom right now you would be limited on selection, go online and the doors open and you have so many choices available to you. When buying bathroom products online you’ll notice you are given a full description of the items including their measurements. You can now use your bathroom layout to determine what will work and what won’t, will that freestanding bath be too big for your design or will it blend in just perfectly? If you can buy your products at the same time to ensure you have everything ready when your contractors arrive and any delays will be averted. Always check the delivery options and time frames. Often you are given a set delivery time frame or delivery day which you can work to, ensure your contractors are only booked after this date or wait for everything to arrive before confirming with your contractors. It’s a good idea to be at home in person on delivery day to ensure everything arrives as ordered and everything is in good condition. Many things can happen during delivery and you need to check the boxes. Get the items delivered to a storage area which is easily accessible by your contractors to ensure your bathroom can be finished quickly and easily. You will find when it comes to bathroom design that you will need to make a lot of decisions regarding your storage options. Bathroom cabinets are a top choice as they are placed on the wall, they don’t take up any floor space and they offer ample storage for your smaller bathroom items. The back lit mirror cabinets are a popular choice offering style and elegance to both modern and traditional bathroom designs. Storage is essential in any bathroom, whether you have a large spacious bathroom or a small compact one. Having a place to store all your toiletries, medicines, shaving items and hair care products helps reduce any clutter that may gather in your bathroom space. The back lit mirror cabinets give you the ability to have a storage space for each of your items, dramatically reducing the risk of clutter. 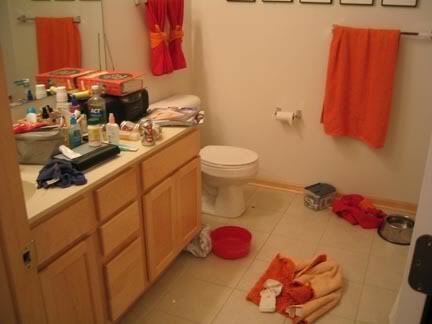 You may have the cleanest bathroom in the whole of the UK, but if your bathroom is messy it will immediately look dirty. One of the biggest advantages of the back lit mirror cabinets is the mirror itself. Mirrors play an essential role in any bathroom design. With careful placement you can reflect any natural light into the space immediately making it feel more spacious than it is. Another advantage of mirrors is that they can be used to highlight a centrepiece. Maybe you have a spectacular roll top bath in the centre of the bathroom or maybe you have a feature wall and you want to highlight it. Of course mirrors also make it easier when styling in your hair, shaving or putting on makeup and having the cabinet and mirror as one item, offers convenience, functionality and practicality. Lighting is just as important to a bathroom design as a mirror. Everyone is looking to achieve a light and bright bathroom space which makes the bathroom feel spacious. The advantage of the back lit mirror cabinets is that the lighting is designed to reflect directly on to the mirror, this means that you are guaranteed a clear reflection even in the darkest of bathrooms or should you prefer to keep your main bathroom light turned off. This is an advantage when using the back lit mirror cabinets in an en-suite, you can turn on the cabinet lighting rather than your main light, reducing the risk of waking anyone else in the main bedroom. One of the biggest things we struggle with in our bathrooms is the clutter. What I am talking about is mess, have you noticed how a bathroom can become messy within minutes, toiletries everywhere, shaving items and even hair care products? While a messy bathroom isn’t dirty, the mess ruins the entire look of a bathroom and can leave you running around in a panic if a guest arrives at your door unexpectedly. I personally hate clutter in the bathroom, I have worked hard to design my bathroom into a modern oasis with plenty of glass, chrome and light colours and towels lying everywhere, medicines left on the edge of the basin and make up left on the window sill is not my idea of a perfect bathroom space. One of the ways to reduce the clutter is to consider bathroom cabinets that can hang on the wall above or next to your basin. These are ideal for the smaller bathroom items such as medicines, some toiletries, make up and shaving items, but they are not suitable for the larger items such as your clean towels, shampoos and conditioners. Placing a mirrored cabinet on the wall can immediately offer you some storage along with a practical and functional mirror which can assist to bounce natural light into the room helping achieve the sense of space. Vanity units are such a practical bathroom product that includes ample storage combined with your basin. The advantage to this is that you maximise your floor space while reducing the clutter, it doesn’t get any better than that. Personally I prefer the wall hung vanity units which make cleaning so much easier. These units hang on the wall, which really assists with the feeling of space and makes the bathroom look stylish with a floating cupboard. With the choices available you can include a wall hung vanity unit into the smallest cloakroom or into the most spacious of bathrooms. There are single door units, double door units and those with drawers rather than cupboards, all offers ample storage for your clean towels, toiletries and so much more. 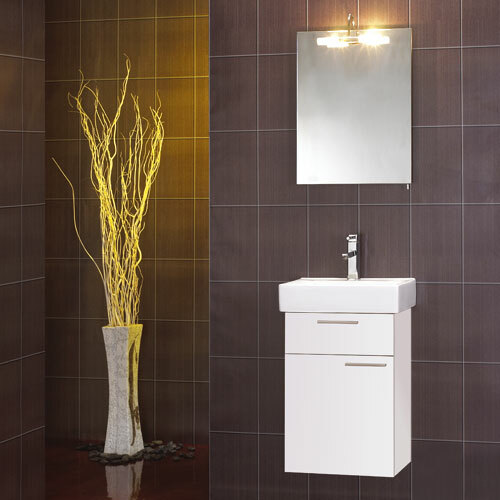 The fact that the wall hung vanity unit is available in a choice of colours is a big bonus. If you are looking for that modern and minimalist design, the white gloss works beautifully, but if you want to make a statement and add a splash of colour or texture these units come in black and light oak, just what you need to compliment the space. I think one of the hardest things in a family bathroom is reducing the clutter. Think about it an average family of four will have a selection of hair products, shaving items, medicines and make up that needs a storage space, otherwise it ends up scattered throughout the bathroom. A bathroom filled with clutter looks unclean, don’t get me wrong it can be the cleanest bathroom in the area, but with all the items strewn around it looks messy and when guests come to visit it can ruin the entire look of your home. There is a solution to the bathroom clutter which gives you the ability to say “no” to the clutter and keep your bathroom neat and tidy. The bathroom cupboards available come in a range of shapes and designs to suit any bathroom layout from wall mounted high cupboards to the smaller shelf designs, the choice is up to you. The Linda 25 base bathroom cupboards are ideal for smaller bathrooms, en-suites and cloakrooms. These units are white and minimalistic in design to suit even the most ultra modern bathroom design. There are two storage areas, a draw and a shelved cupboard below offering you ample storage space for all the bathroom clutter. The Ilario Tall Cupboard is another of my favourites. These are available in a light Marango brown colour which adds a splash of colour to any bathroom design. These bathroom cupboards work well in any sized bathroom as they are mounted on the wall offering a sleek and modern design. The storage is more than enough for a family bathroom with two large storage sections separated by a draw and finished with thin metal handles which add elegance and style to the design. My favourite of all the bathroom cupboards has to be the Zola Tall Cupboard. These are available in black with a long handle that really add elegance to any bathroom design. The great thing is that by adding the black bathroom cupboards you can enhance the space and the single door design adds to the appeal of this large storage area. These bathroom cupboards are ideal for the family bathroom with plenty of storage space, but they also work beautifully in the smaller bathroom mounted to the wall to offer convenience and practicality. Christmas is only a week away and if you have guests arriving, you’ll want to start getting your bathroom in tip top shape now. It’s time for cleaning, scrubbing, hanging tiles and getting rid of the clutter. I don’t know about you but my home is easy to get clean, but my bathroom tends to be a nightmare, the whole family use one bathroom leaving all their bathroom products lying just about anywhere and now there is guests coming to stay and they will need space for all their bathroom items too. A nightmare in the happening. What I suggest is start with a good clean. Choose the towels you want to put out and maybe add a few scented candles. The candles not only look great, but they give the bathroom a pleasant aroma. Next you’ll want to start reducing the clutter, stainless steel mirror cabinets work really well for that and they are the ideal whether you have a modern or traditional bathroom. The stainless steel mirror cabinets give you that extra storage space you so desperately need, reducing the clutter in your bathroom and helping you get it ready for the Christmas holidays. The great thing is that these cabinets are affordable and can be such a useful item for your bathroom this holiday season. These stainless steel mirror cabinets come in a range of sizes and shapes to blend in with any bathroom design. If you are limited on space, use one of the corner cabinets with ample storage for all your toiletries, make up and hair care products. If you have a large bathroom the triple door stainless steel mirror cabinets are wonderful additions to your bathroom offering more than enough space for the whole family to have their own place to put their bathroom items. There is another advantage to these mirror cabinets, that’s right they’re also a mirror. This means you can enjoy the practicality of having your bathroom items stored where your mirror is, this can save you time in the mornings when getting ready. You don’t end up digging around the bathroom looking for your mascara, but open the door, take it out, close the door, use your mirror and you are ready to go. After so long of fighting the family to tidy up after themselves in the bathroom, the stainless steel mirror cabinets were a great solution to a messy problem.